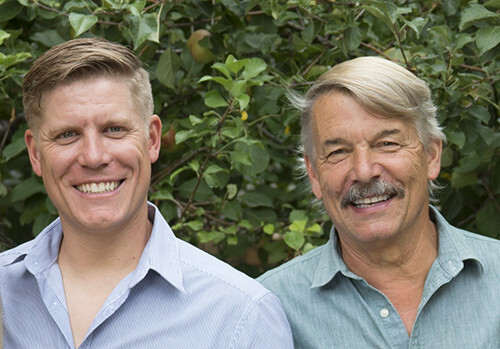 Greg and Hunter Mantell-Hecathorn were the first Builders in Colorado to earn the National Association of Home Builders (NAHB) Designation of Master Certified Green Professional. As of the beginning of 2016, they are still 2 of only 3 Builders in Colorado and 121 nationwide to hold this accreditation. Each home goes through rigorous third-party testing certification under one or more of the following programs: 100% ENERGY STAR, NAHB Green, DOE Zero Energy Ready, EPA Indoor Air Quality Plus, EPA WaterSense. WHY BUY A ZERO ENERGY READY HOME? Every Zero Energy Ready Home offers a cost-effective, high performance package of energy savings, comfort, health, and durability unparalleled in today’s marketplace. Every DOE Zero Energy Ready Home begins with solid building science specified by ENERGY STAR for Homes, and then adds advanced technologies and practices from DOE’s worldclass research program, Building America. Advanced construction practices and technologies are specified for every DOE Zero Energy Ready Home. Then they are enforced by independent verifiers with detailed checklists and prescribed diagnostics. The advanced levels of energy savings, comfort, health, durability, quality and future performance in every DOE Zero Energy Ready Home provide value that will stand the test of time, and will meet and exceed forthcoming code requirements. "Zero Energy Ready homes are the future of US housing, and innovators like Mantell-Hecathorn Builders are leading the way for the entire industry. Zero Energy Ready homes provide a vastly superior homeowner experience at a lower ownership cost - and an experience that all Americans should want in their next home." We are proud to offer new homes that have earned the ENERGY STAR® label. ENERGY STAR qualified homes are independently tested and verified by a third-party Home Energy Rater to ensure they meet ENERGY STAR energy efficiency guidelines. These homes are better for the environment and better for you. Heat Recovery Ventilation systems are installed to ensure the air you breath is fresh, filtered and in constant circulation. This is essential in a tightly built home. Ensure proper ventilation and duct runs at kitchens and baths with ENERGY STAR fans. Proper separation of combustion exhaust from within the living space by using direct vent fireplaces and tank less water heaters. Garage ventilation system to remove car exhaust, with an airtight seal from the home. A home built to ENERGY STAR standards will use far less energy than a standard “code” home. Independent third party inspection and testing of insulation quality, and sealed duct systems. Ducts tested for less than 5% leakage compared to typical home duct leakage of 25%. We use spray foam and blown-in fiberglass insulation, for our minimum R-60 ceilings, R-30 floors, and R-25 to R-42 walls, R-20 foundation; sealed crawlspace and building envelope. ENERGY STAR windows (typically triple pane) save energy and provide more UV protection, U-value of <.30. ENERGY STAR appliances achieve greater efficiency in energy and water use. 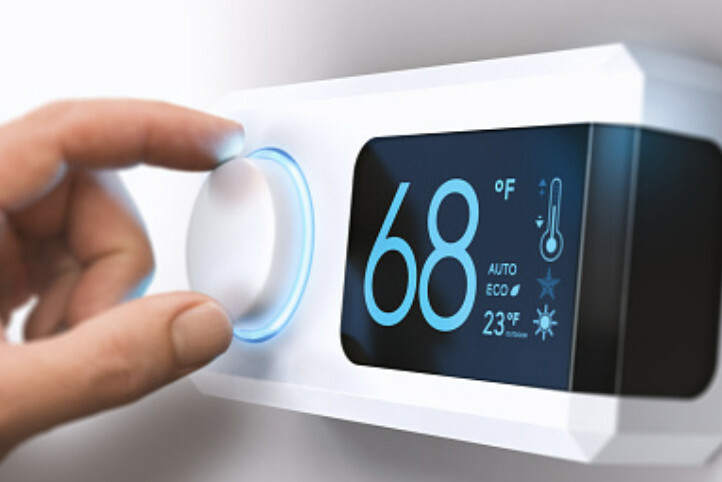 ENERGY STAR HVAC system provides quality and efficiency; 95% efficiency standard. Sealed duct work, third-party tested. 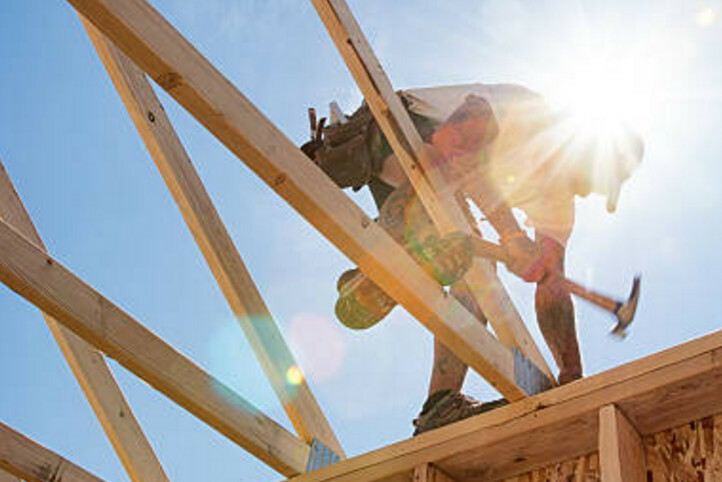 Engineered and kiln-dried lumber is stronger and more stable. 50 year roof material for longevity and reliability. Radiant Floor Heating systems with a 96% efficient boiler. Light fixtures that conform to Energy Star standards. Photovoltaic panels to offset heating or electrical use - optional. Passive solar design incorporated when possible to help reduce heat load. The benefits of Certified E-Star and DOE Net Zero Ready homes extend well beyond the immediate attributes of a healthier living environment. Homeowner awareness of the desirability of a home built with green building techniques and quality will continue to grow in the future, and the resale value of those green-built homes will be enhanced well beyond the homes built without a green rating. The Colorado MLS now includes fields for green ratings, and requires 3rd party verified information on a home’s Certification and HERS rating. Third party certification requires a project to be independently tested and documented for energy efficiency and healthier, more durable construction materials, rather than just relying on a builder’s word. Our Mesa Verde Passive Solar custom home was third-party tested and earned the highest level of Emerald in the NAHB Green Standard Program and was tested to have a HERS rating of 28, which will translate into a cost savings of 72%! The custom home we completed in November 2011 was ENERGY STAR certified and the second M-H home in Southwest Colorado to attain a Gold Level in the NAHB Green Standard Program. The home received a HERS score of 61, which means a cost savings of 39%, and earned this exemplary rating without using photovoltaics or other alternative energy sources. *3rd Party Verification means a home energy rating professional apart from your builder evaluated plans, inspected construction practices, completed detailed checklists, and performed diagnostic testing to ensure your home's performance. "Greg and Hunter built a custom vacation home for us and we couldn't be happier with the results. We received personal attention throughout the process. The end product was a high quality, energy efficient, and comfortable home that we will enjoy for many years. Being 300+ miles away from the construction meant that we had to place a lot of trust in our builder. We couldn't have chosen anyone better than Greg and Hunter. They receive our unqualified recommendation. Top Qualities: Great Results, Personable, High Integrity"
"My wife and I worked with the Mantell-Hecathorn team to build our house in Durango, CO, and could not have been happier with either the process or the results. Of all the builders we interviewed, Greg and Hunter stood out from the rest for their command (and successful prior implementation) of efficiency and green building techniques. Their attention to detail was superb; their craftsmanship first notch; and the results of their hard work were exactly what we were looking for. As important - Greg, Hunter and Tara were a pleasure to work with throughout the process. Building a home is an ordeal: the details are never-ending, the bills significant, and the stress can run high. Given that - you want a team to work with that earns and maintains your trust at every step of the way. Greg, Hunter, and Tara did just that. Our project wrapped up on time and on budget. Through the process, we gained three new friends in the M-H team." "One statement covers it all...they are without question the most incredible contractors we have ever worked with. As the house got started, they kept us informed everyday with every minute problem that came up. They never made a decision unless we were well informed and signed off on it. As far as quality, Mantell-Hecathorn Builders was incredible. The subcontractors we used through them were nothing short of great. I highly recommend Mantell-Hecathorn Builders." "We wanted to have a very well‐built, energy‐efficient home for our new residence in the mountains of Durango, Colorado. We really appreciated the ease of working with everyone at Mantell‐Hecathorn Builders, and have been so impressed with Greg and Hunter’s knowledge of construction and their ability to build at this level. During construction and after completion we have experienced the high quality of Mantell‐Hecathorn Builders workmanship and the genuine comfort of our new home on the coldest Durango winter day. Our electric bills have been zero (we actually have a net credit due to our photovoltaic system). The cost of propane to heat the house with the thermostats set fairly low at 60 degrees when we haven’t been there has only been about $350 from July through May! (Our 1000 gallon tank was filled to 80% in July and now reads at 60%, which means we used about 200 gallons of propane.) Pretty remarkable for a 3800 SF home in this climate!" In fact, I was just admiring some of the work he did at our home a few minutes ago as I was working out in one of our rooms here. All the little details are so well figured out and done. Five years later, it still just feels good to look at it. True quality is enduring. Anyway, that’s our story and we’re sticking to it. Good luck with your project. You should pick Greg to do it, hands down!" Our house barely sips energy. The bottom line for us is that our Durango house will cost us a tiny fraction of what our Texas house costs to operate. Factoring that into our cash flow calculations, these savings will have a material impact on my retirement plans. In effect, selecting Mantell-Hecathorn Builders to build our house will likely allow me to retire 3 to 5 years earlier than I had planned. Pretty powerful stuff, for a fact. So thank you and Hunter and Tara for giving me those years - they will be priceless to me! "Mantell-Hecathorn Builders did a great job. They were here regularly and kept an extremely tight schedule. They really did a great job and I felt like they completely understood my vision. They also helped me make decisions if I had trouble deciding. I honestly would recommend them and if I were building or remodeling tomorrow, I would definitely use them." On a personal note I’d like to thank you for everything. You always gave me confidence and delight in this project. I can’t imagine a more pleasurable remodel, you deserve full credit. I look forward to working with you again. "Greg Mantell-Hecathorn is an exceptional builder. A few years back, he remodeled our kitchen and two rooms. We were so pleased with that job and experience, we later had him remodel the rest of our home. That consisted of an extreme make-over of four rooms and three bathrooms. Not only were the jobs done right, they were started and completed on time and within the budget estimate. Before the projects started and during all phases of construction Greg always listened to our wants and concerns and complied in every way he could. He didn’t just do as we ask, but actively consulted with us and at times suggested changes and upgrades that were always the right way to go. Greg and his team are professionals. They arrived each day to work and left the job at day’s end with materials put away, the work area clean and swept. The crew was polite and courteous with as little intrusion as possible. This was extremely important since we lived in the home through all phases of the remodel. Thanks to Greg we’ve received numerous compliments on our home. For professional quality work we highly recommend Mantell-Hecathorn Builders." "After locating a piece of land for our “dream home,” we spoke with several life-long residents of Durango to learn about local building contractors and the name of Mantell-Hecathorn Builders came highly recommended for good reason. From our first encounter with Greg Mantell-Hecathorn, we knew that we’d found the right contractor. Prior to meeting with Greg on our land, he had walked around the property several times and had applied his years of experience to identify potential building sites, compiling a list of advantages and disadvantages for each. He showed respect and knowledge of the land that was extraordinary. From the moment of our first meeting, we felt as if we had become temporary members of the Mantell-Hecathorn family, receiving constant support from Greg, Tara, Hunter, and Miranda and a large number of subcontractors, designers, and skilled workers with whom Mantell-Hecathorn had developed close ties with over the years. Situated high in the hills above Durango, the comfort of our energy-efficient home surpasses that of any home in which we’ve lived. We could not be happier with our home and believe that this family-owned business is one of the top home-building contractors in the area, possibly in the whole U.S."
Robert D. and Steve C.
We heard wonderful things about Mantell-Hecathorn Builders. Our desire to have a solid, well-built home, especially here in the mountains, and we are so pleased and have been so blessed that we chose Mantell-Hecathorn Builders. The first time we met Greg and Hunter Mantell-Hecathorn, I believe there was an instant connection. There’s just that feeling they’re professionals, they know what they’re talking about. You know you can trust them. We are very pleased with our builder. I would highly recommend them to anyone. I think Greg and Hunter really set themselves apart from their building practices, from their documentation, from their integrity, their trust value, and of course from the quality level of building. Their subcontractors are all the A-list of Durango. They have the best relationships with them so they can get them on the job when they need them. So they really bring the best team to the project. There are a few good contractors in Durango, but I would absolutely, unequivocally say that Greg and Hunter Mantell-Hecathorn are some of the best. 2018 ©Mantell-Hecathorn Builders, Inc. All Rights Reserved.